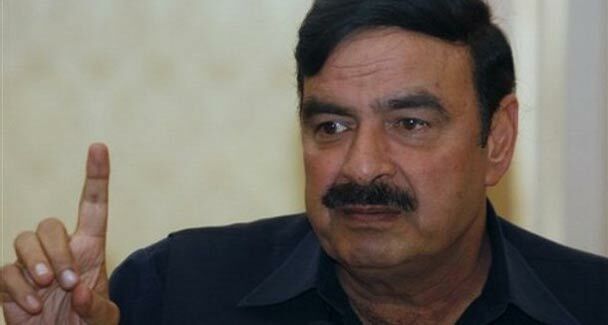 LAHORE: Railways Minister Sheikh Rashid Ahmad on Saturday expressed apprehension on the appointment of Opposition Leader Shehbaz Sharif as Public Accounts Committee (PAC) Chairman, which he said would lead the country to financial indiscipline and economic chaos all over again. Addressing a press conference at the Pakistan Railways (PR) headquarters, he said that Prime Minister (PM) Imran Khan was a broad-minded person who had agreed that the opposition may make Shehbaz as PAC chairman, however, Shehbaz was not someone he considered trustworthy. Casting doubt on the credibility of Shehbaz Sharif, he said, “No leader in the Pakistan Muslim League-Nawaz (PML-N) was dishonest if its president Shehbaz is honest”. Regarding the issue of PML-N Member of National Assembly (MNA) Saad Rafique’s production order, he gave his own example, saying that his production orders had not been produced for three years when he was in jail in a fake case of weapon possession. To a question, he said that Saad was the son of a great man and he respects the man but Saad was crying for money which he had looted, not earned. The minister said that the country would be purged of all plunderers and looters by March 2019. He criticised the media for presenting thieves and looters like heroes and urged the media to show their real faces. He said that the railways just made procurement and no improvement had been made during the last regime which is Saad Rafique’s fault. To another question, he said that he never used derogatory language against Nawaz Sharif’s daughter or wife. The minister said that the positive impacts of the government would be before the people with the passage of time.